A quick tip to share! 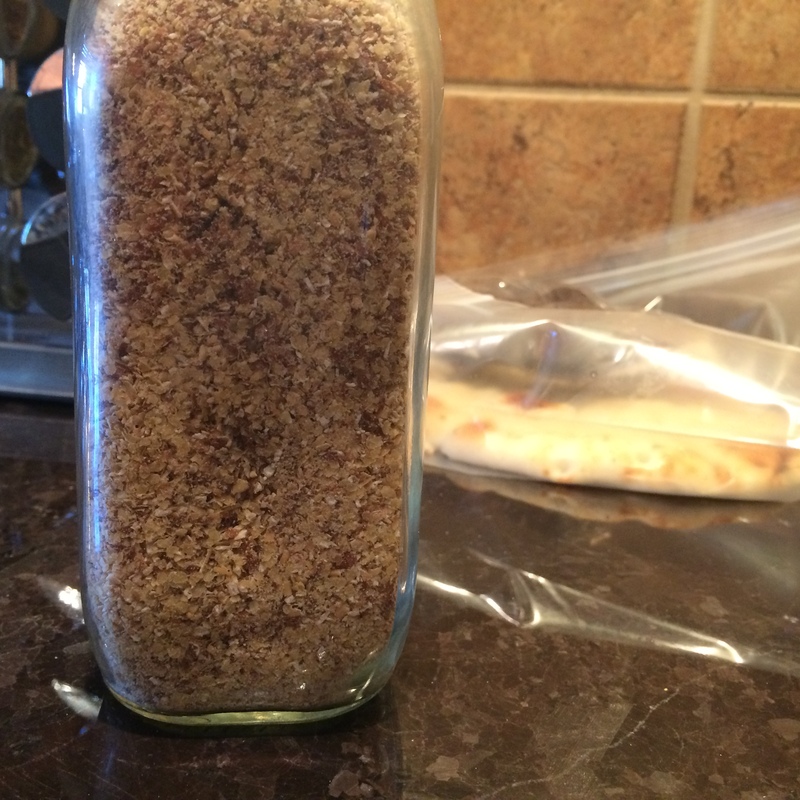 Take a resealable jar and use a funnel to fill it with flax (seed) meal, oat bran and wheat germ. 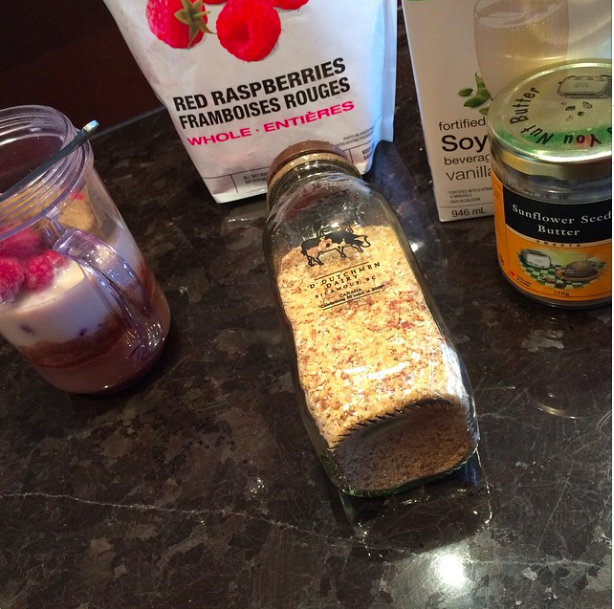 Shake well to mix. Keep it in reaching distance of your stovetop. 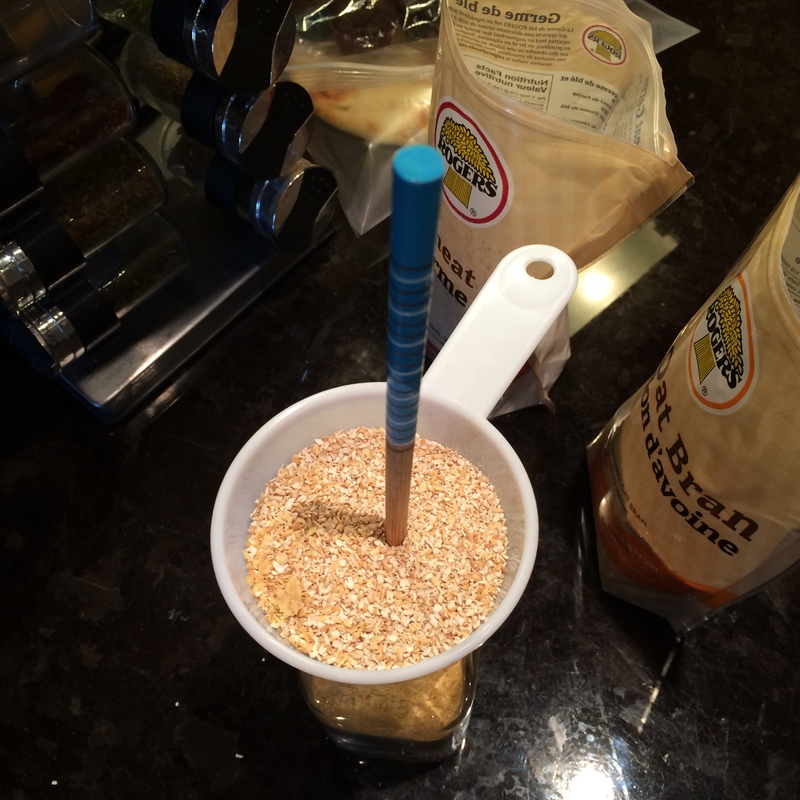 Add your new fibre mix to stir fries that need thickening, soups, hot cereals and smoothies. You’ll be able to easily add a little extra to your meals. Personally I use this mixture to thicken my oats in the morning, to add a little extra fibre to smoothies and to thicken sauces I am cooking in a pan. 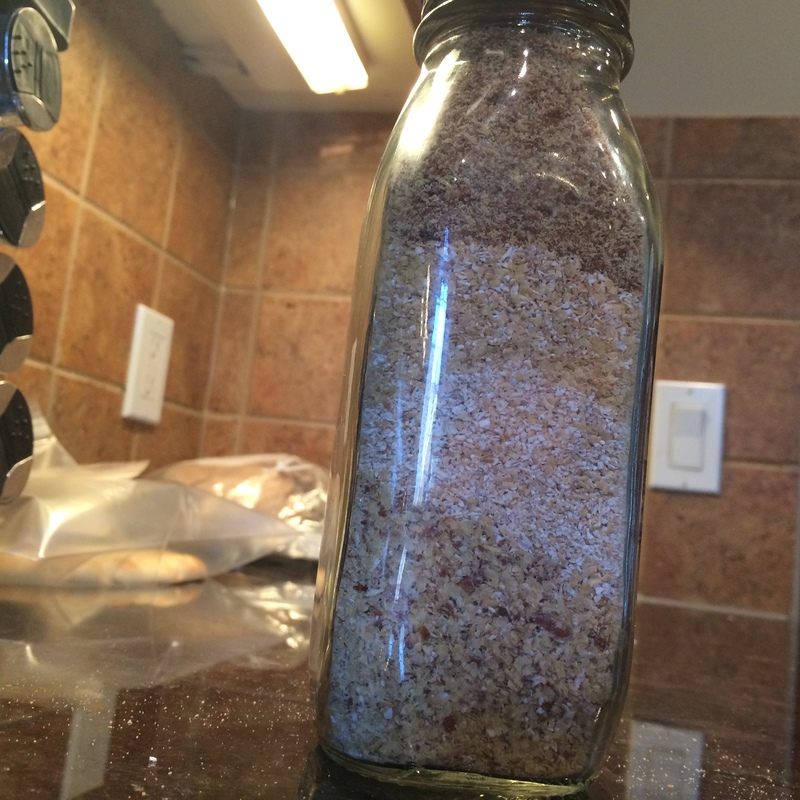 I’ve also added spices to this mix to use as a breading for homemade chicken fingers! 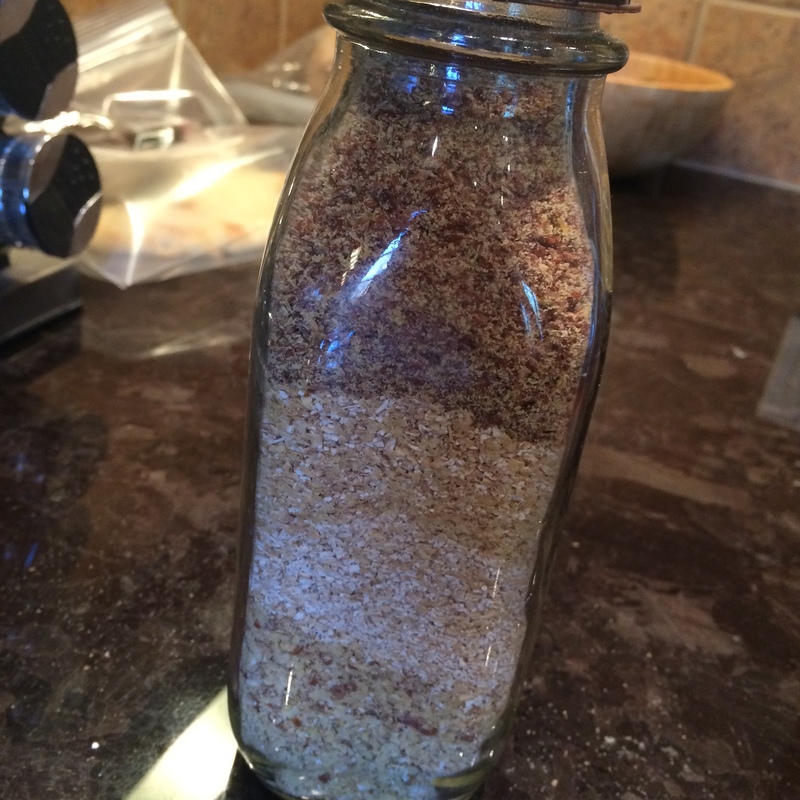 Below is an approximate nutritional analysis of an oat blend (equal parts flax meal, oat bran, wheat germ) This analysis may be off due to volumes of ingredients added to jar and settling of ingredients in jar.